The war in Yemen has killed as many as 57,000 people since March 2015, left 8.4 million people surviving on food aid and created a cholera epidemic. The British government claims to have been at the forefront of international humanitarian assistance, giving more than £570m to Yemen in bilateral aid since the war began. Yet the financial value of aid is a drop in the ocean compared with the value of weapons sold to the Saudi-led coalition – licences worth at least £4.7bn of arms exports to Saudi Arabia and £860m to its coalition partners since the start of the war. Britain and the US have been the key supporters of the Saudi-led coalition, providing arms, intelligence, logistics, military training and diplomatic cover. This has provoked criticism: in the US, a Democrat congressional resolution invoked the 1973 War Powers Act to end US involvement in the war in Yemen, but was blocked by a Republican procedural rule change to a resolution about … wolves. More recently, an attempt to push through a UN resolution calling for a ceasefire was stalled by the US and other countries, reportedly after a lobbying campaign by Saudi Arabia and the United Arab Emirates (UAE). In the UK, parliament’s committees on arms export controls (CAEC) fell into disarray in 2016, unable to agree on whether or not to recommend a suspension of arms exports to Saudi Arabia pending an international investigation into alleged war crimes. Britain’s own rules state that it cannot sell weapons to countries where there is a clear risk they might be used to violate international humanitarian law. The government has been forced to expend greater energy in justifying its position and devote more resources to the aid response – even if it will not rein in arms sales, the key aspect of UK complicity, as admitted by the former defence attache to Riyadh last month. The UK government claims to have one of the most rigorous arms control regimes in the world, yet evidence of attacks on medical facilities and schoolchildren in Yemen is clear. How does the British government manage to convince itself that its arms export policy is not in tatters? First, by batting away extensive evidence of violations of international humanitarian law, claiming it can’t be sure they have happened – despite a risk-based framework that is explicitly preventive in orientation. Second, by working with the Saudis to claim that, if attacks on civilians have happened, they must have been a mistake. Third, that any past misuse of weapons doesn’t necessarily mean future misuse. According to the British government, while there may be a risk of weapons being misused in Yemen, that risk is not clear. Marx reminds us that human beings, through social action, create the economic system; then we forget that the economy is a human construct and worship it as if it were eternal. Ecological sanity can only come when we recognise that the present economic system of capitalism is a social construct that must be overthrown. Real prosperity means that we have access to useful things; it is quite different from wasteful increases in Gross National Product (GNP). Under capitalism resources that are free - from land to ideas - are essentially stolen, fenced in and sold back to us. The enclosure and commodification of labour is the most important form of enclosure. This increases exchange value (GNP) but makes us poorer. Some of Marx’s earliest political writings examined the imposition of laws that prevented peasants from gathering fallen wood in German forests. The open source principle of free access and creativity is an example of how enclosure can and should be fought. A society controlled by the few must be replaced by one that works for all. We must overcome a society based on blind accumulation. Activists within the environmentalist campaigns largely do not recognise that they require a struggle against the capitalist system. It's true that the environment movement has brought a new vocabulary and discourse into political life with a steady growth in concern about environmental issues. In the process, many of the traditional socialist themes – e.g., distribution, power and property, planning and democracy – linked up. Those involved in Extinction Rebellion are clearly sincere in their opposition to various versions of capitalism and their desire for a better world, but they seem to have no real conception of what "socialism" might mean. Their "socialism" is more a catchphrase for good reforms in general than a vision of the democratic transformation of society, by workers, from below. 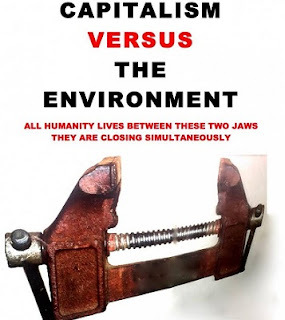 While the ecology movement may hold some good socialistic members it is not a party of socialism and in the end, the Socialist Party must challenge show just how and why environmental issues are of top relevance to the quality of life of working people. The reformists for a “green economy” focus on the market for solutions. Yet the market takes too long to resolve problems, and the big corporations behind fossil fuels want to get a foothold in “green energy” at the same time as keeping their fixed capital. Their idea of a “green economy” favours technological fixes based on private property, for example, transcontinental super-grids for long-distance energy exports from Sahara desert solar facilities. Yet it is impossible to meet the challenge of reducing greenhouse gas emissions and catapulting the entire economy from the 150-year old age of coal and oil into the future of solar and wind without provoking crises. It is necessary to transform the mode of production and living so it is predictable that when some of the old branches of industry and their capital come under attack, it will in turn trigger resistance. Conversion of polluting and resource-intensive capital stock to environmentally benign alternatives? Impose green taxes? Just how viable will they be to the likes of the Koch brothers? The hope of a "steady state" capitalism beloved of Herman Daly and Lester Brown and the Sharing the World website are simply that — aspiration. They accept that the market system as untouchable and look for salvation in changing the behaviour of individual consumers and adoption of energy-saving technology. However, since capitalism is addicted to expansion, and devotes vast resources to this effort, there's no reason at all to expect that gains in resource efficiency will go into reduced use of resources and not into increased throughput and growth rates. The principle that "the polluter pays" will be a principle more honoured in the breach than the observance. But modern corporations have corporate lawyers who find loopholes and who appeal the penalties. The Socialist Party is aware of how very far down the road to making the planet uninhabitable for humans capitalism is, and how many humans have already suffered and will suffer from the damage the profit system has done to our planet. We possibly have one more generation before it is too late. There won’t be any socialists, there won’t be any socialism when nobody can breathe. Climate change is real and it’s as urgent as it gets that we make radical changes if we want a future on this planet. The Socialist Party viewpoint simply means that, until the majority sets the rules of the political and economic game, any gains in such battles are provisional and vulnerable to co-option and reversal. What is at stake in this discussion is not whether governments can't be induced to change their mind on this or that carbon tax, but whether any capitalist government can subordinate the overall interests of capital to those of the environment for any length of time. Once that impossibility is truly grasped then environmentalists have no choice but seriously to measure their present ideas against the basic concepts of socialist theory and politics. Activity in Extinction Rebellion involves serious commitment to campaigns, but almost always involving confusion about goals and vulnerable to drowning in parliamentary tomfoolery of reformism. The concerned environmentalist has a choice between an ecologically sustainable socialism or capitalism. The central issue is that of political consciousness, of imparting the true picture of a capitalism whose insatiable hunger for profit is not only devouring the working and living conditions of hundreds of millions of working people but the underpinnings of life itself. The future of our planet depends on building a livable environment and a socialist movement powerful enough to displace capitalism. "What we're eating is killing us. So something needs to get us back on track with our food system," said Jessica Fanzo, a professor at the US Johns Hopkins University and a lead author of the report. Nearly one in five deaths globally can be traced to dietary causes, a study of global nutrition says. Both a lack of food and an abundance unhealthy food cause dangerous malnutrition. The world is seeing widespread malnutrition caused not only by people not having enough food, but also having too much food that is bad for them, according to the latest Global Nutrition Report. The independently produced report, which shows Africa to be the region that is hardest hit by both forms of malnutrition, said diet was a higher risk factor for health than air pollution or even smoking. The report showed Africa to be the region most affected by all forms of malnutrition, sometimes in combination. Thirty of 41 countries hit by three forms of malnutrition — stunting among children, anemia in women of child-bearing age and excessive weight in women — are in Africa, it said. The report also pointed to the fact that while stunting among under-fives was on the decline globally, it was still increasing on the continent, with numbers growing from 50.6 million in 2000 to 58.7 million in 2017. For decades, U.S. life expectancy was on the upswing, rising a few months nearly every year. Now it’s trending the other way: It fell in 2015, stayed level in 2016, and declined again last year, the CDC (Center for Disease Control) said. The nation is in the longest period of a generally declining life expectancy since the late 1910s, when World War I and the worst flu pandemic in modern history combined to kill nearly 1 million Americans. The suicide death rate last year was the highest it’s been in at least 50 years, according to U.S. government records. There were more than 47,000 suicides, up from a little under 45,000 the year before. Drug overdose deaths also continued to climb, surpassing 70,000 last year, in the midst of the deadliest drug overdose epidemic in U.S. history. The death rate rose 10 percent from the previous year. A major study published on Thursday warned of a malnutrition crisis in almost every country in the world. Worldwide, 150.8 million children are stunted and 50.5 million are "wasted", the report said. Of the three countries that are home to almost half (47.2 percent) of all stunted children, two are in Asia: India (46.6 million) and Pakistan (10.7 million). In India, forty-six million children (almost a third of the global total) are stunted because of malnutrition and 25.5 million more are defined as "wasted" - meaning they do not weigh enough for their height. In India, high rates of malnutrition lead to anaemia, low birth rates, and delayed development - perpetuated from generation to generation. India is the world's fastest-growing major economy and during the last two decades has recorded economic expansion that helped lift hundreds of millions out of poverty. But it still remains a deeply stratified society with extreme inequality between its rich and poor. Dr Basanta Kumar Kar - who is part of a health committee at NITI Aayog, India's government think-tank - said, "Malnutrition is linked to mortality, morbidity, brain/cognitive development, and overall physical growth of a child. A malnourished child is vulnerable to infections and many life-threating diseases." The Global Nutrition Report 2018 found while malnutrition rates are falling globally, their rate of decrease is not fast enough to meet the internationally agreed Sustainable Development Goal (SDG) to end all forms of malnutrition by 2030. India is not set to meet any of them, the report said. Progress on tackling malnutrition is "simply not good enough", according to the report. Nikhil Day, at Mazdoor Kisan Shakti Sangathan, a peasant and workers' organisation in the western state of Rajasthan, expressed alarm at Thursday's report. "We are constantly shocked and disgraced by reports like these. In a country like India - where there is so much emphasis on economic growth rates - our apathy for malnutrition and food security is telling. It robs children of their future and countries of their humanity. This should be a national priority," he said. “Pregnant women need to see a midwife, children need vaccinations and people with chronic conditions need a GP. Policies that prevent people from accessing NHS services just cause more problems in the long term,” said Dr Katherine Taylor, a GP and health adviser to Doctors of the World. Asylum seekers who need NHS care have been left in “considerable fear” because of the government’s “hostile environment” policies, according to the human rights watchdog. In a highly critical report the Equality and Human Rights Commission (EHRC) says people have gone without medical help since ministers forced the NHS in England to impose upfront charges to access care last year. “Everyone should have access to good-quality healthcare, regardless of who they are and where they come from,” said Rebecca Hilsenrath, the watchdog’s chief executive. “People seeking and refused asylum are likely to have particular health needs because of past distressing experiences and the traumatic effects of fleeing to a different country. It’s therefore crucial that they are able to fully and easily access healthcare and that their rights are protected by keeping healthcare separate from immigration enforcement. This is just about common humanity,” she added. Pregnant and disabled asylum seekers, in particular, have been unable to get treatment, or have been too scared to seek it, as a direct consequence of both the charges and also fears that their data would be shared with the Home Office. Doctors of the World, found that the NHS charging regulations and duty on it to share data with the Home Office constituted “important barriers” to asylum seekers requesting healthcare. In addition, asylum seekers’ poverty means they often cannot afford to get to healthcare appointments or pay for prescriptions, it found. The Socialist Party has been saying for a very long time that workers must wake up to the enormous environmental damage which the profit system does to the world around us. 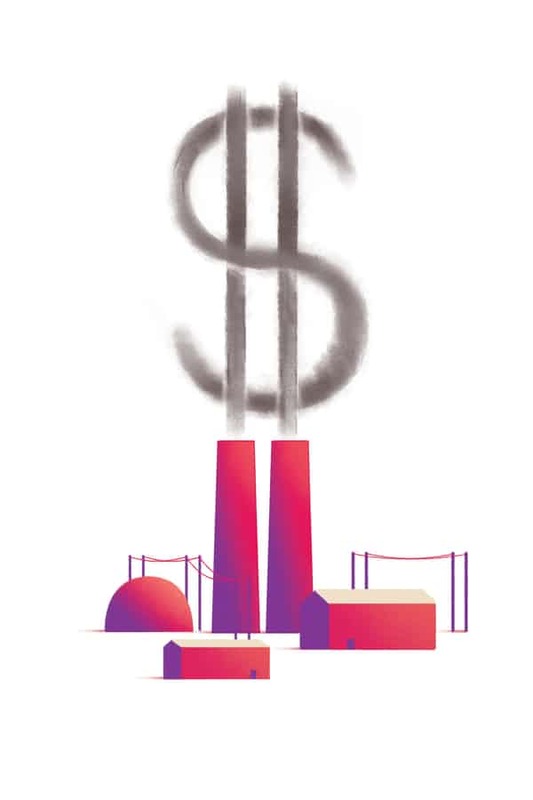 It has been cheaper for capitalists to pollute the air we breathe than to adopt clean techniques and healthy practices. Methods of production which are unsafe and disease-spreading have long existed. Workers' food has long been adulterated. Animals are made to suffer and die needlessly; endangered species which have no exchange value in the market is allowed to become extinct. There is nothing new about any of this. The planet belongs to us, we, the workers, who produce everything and run the planet from top to bottom, yet we have given it to the ruling class. Our task is to take it back from them; to reclaim the planet. 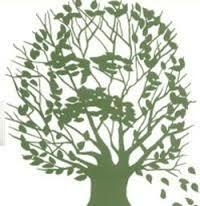 Those who do not stand for the socialist transformation of society, cannot take the planet back from the capitalists. A society which is not constrained by private property, commodity production, and buying and selling would use, as a matter of course, the best possible technology at hand to ensure the safety of those working in the plants and the protection of the natural environment. The social cost would be the deciding factor, not commercial cost. Capitalism is unable to do this. Those who believe that the threat to the environment can be dealt with within the capitalist system and who imagine that politicians whose task it is to run the production for profit system can be persuaded to act on the danger which climate change brings to the planet are sadly wrong. They are dreaming. Those who campaign for a greener world are doubtlessly sincere and caring people who want something different. In their own lifestyles, perhaps some of them have made genuine adjustments which are in line with a socially more co-operative way of living. So have many in the Socialist Party, but we are well aware that individual lifestyle changes, whether they involve not eating meat or using “environment-friendly" products, is not going to change the fundamental nature of the social system which oppresses us. Million of us might give up using products which destroy the environment, but what power do we have in comparison with the minority who own and control the means of wealth production? The ruling class, be they corporate CEOs, state-capitalist bureaucrats or small manufacturers, have an interest in keeping their costs down. 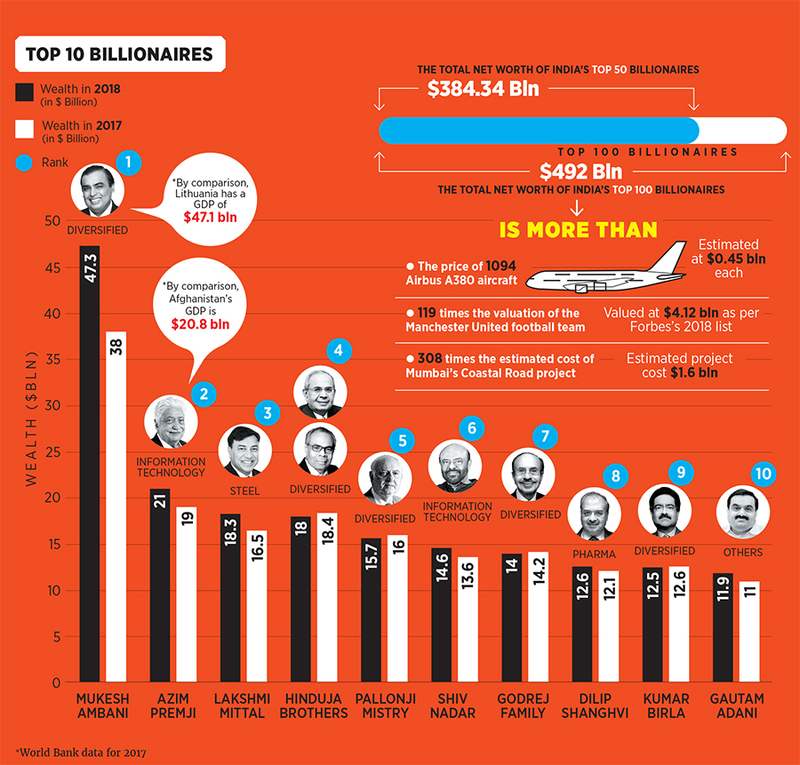 If their profits come before the long-term interests of people, who can blame them for sacrificing our needs? After all, it is us who constantly vote for the profit system. Only by abolishing the system which is the cause of these problems can the effects be eliminated. Many ecologists present an appealingly radical message, but when examined closer, It’s clear that it is a case for the market economy with a green tint. It is simply impossible to humanise this capitalist system. Environmentalists such as Extinction Rebellion may not like capitalism in its present form and want to "re-balance" it, but they still see no alternative to capitalism as a system of production for profit based on wage-labour and are resigned to working within it. It is true that the sort of capitalism they envisage would not be dominated by tax-dodging fossil-fuel guzzling multinationals but one in which the profit-seeking enterprises would be small and eco-friendly. But there is no more chance of an eco-friendly capitalism than there is of going back to small-scale capitalism. Transforming the capitalist economy so that it works for the common good is precisely what cannot be done. Capitalism is a class-divided society driven by the imperative for those who own and control the means of wealth production to make a profit. It can only function as a profit system in the interest of those who live off profits. The global food system is broken, leaving billions of people either underfed or overweight and driving the planet towards climate catastrophe, according to 130 national academies of science and medicine across the world. Providing a healthy, affordable, and environmentally friendly diet for all people will require a radical transformation of the system, says the report by the InterAcademy Partnership (IAP). This will depend on better farming methods, wealthy nations consuming less meat and countries valuing food which is nutritious rather than cheap. Nick Watt, the executive director of the Lancet Countdown, said: “These are not things happening in 2050 but are things we are already seeing today." The Lancet report says populations in Europe and the eastern Mediterranean are at higher risk than those in Africa and south-east Asia because of the high proportion of vulnerable and elderly people living in cities. As temperatures rise across the world, the report says 157 million more vulnerable people were subjected to a heatwave in 2017 than in 2000. Hot conditions directly damage health via heatstroke, but dehydration and exacerbation of conditions such as heart disease are also very dangerous. Heat also worsens air pollution and mental health problems. One in six pints of milk produced around the world is lost or wasted, according to research conducted at Edinburgh University. Europe significantly increased its production of milk in 2015 when the European milk quota was lifted, which had limited the amount farmers could produce. Farmers across Europe rushed to increase their output to maximise profits at the same time demand for dairy fell in Asia, particularly in China and Russia. European dairy markets flooded, causing what some have called a “milk price crisis”. It's estimated that major production increases in this period led to a surplus of 11m tonnes on the world market. The European commission has taken some action to temper the effects of market liberalisation. Since July 2015, it has bought around 380,000 tonnes of skimmed milk powder from overproduction into public storage – known as a demand intervention scheme. The European commission is now trying to sell this powder, but as supply increases, prices fall. This powder is now sold at “dumping prices” in Africa, in direct competition with local producers. Since 2009, skimmed milk powder exports have increased three-fold according to a study published by Oxfam and SOS Faim, and the market is forecast to grow by 4% next year. Western lawmakers seem unperturbed, however, and are altering regulatory systems in the EU and US to make it easier to export dairy around the world. The decision to load austerity cuts excessively on to vulnerable groups contravenes the non-discrimination principles the UK is signed up to under international human rights law, the report said. There was little evidence ministers had taken equality factors into account when taking tax and spending decisions. Measured in cash terms, total spending on public services will have fallen by £1,500 per household in England by 2021-22. Despite the radical language and dramatic protests, Extinction Rebellion is essentially a reformist movement, based on the premise that present society can be perfected or at least improved, to the point where the damage to our environment can be remedied. Unfortunately, some members of the Socialist Party some would say those earnest activists lack real vision. Before production can be carried out in ecologically-acceptable ways capitalism must go. Production for profit and the uncontrollable drive to accumulate more and more capital mean that capitalism is constitutionally incapable of taking ecological considerations properly into account—and that it is futile to try to make it do so. A sustainable society can only be achieved within the context of a world in which all the Earth’s resources, natural and industrial, have become the common heritage, under democratic control at local, regional and world level, of all humanity. If we are going to organise production in an ecologically sound way then we must first be in a position to control production, but we can’t control production unless we own and control the means of production. So, a socialist society of common ownership and democratic control is the only framework within which the aims of Extinction Rebellion can be realised. So, those within Extinction Rebellion should be socialists. The Greens hold that market exchange (buying and selling) good and market forces (Adam Smith's invisible hand) can be tamed by the introduction of climate-change mitigating laws of the State. It's the idea of an idyllic capitalism. The difference between us and Extinction Rebellion is that the Socialist Party is concerned about other problems besides the environment and that we think capitalism can never be modified to work in an environmentally-friendly way. Under capitalism profits and profit-making must come first before all other considerations, including protecting the environment and maintaining a sustainable ecological balance. Our criticism is aimed at those who think capitalism can be modified into such. Lobbying groups like Extinction Rebellion avoid proposing any alternative to existing capitalism: they assume in practice that this form of capitalism will continue eternally and see their role as merely as a pressure-group within it for new laws and regulations to protect the environment. 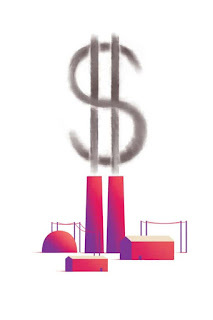 Lobbying can, occasionally, achieve a concession but we are talking about very minor adjustments which make no difference whatsoever to the overall functioning of capitalism as a system that has to put profit-making before all other considerations including the environment. Extinction Rebellion views their direct action as not reformist, but do they really think that they can coerce the state. Direct action can sometimes work against soft targets but it has never worked against state power. It has never stopped a single nuclear power station being built, nor a single motorway or by-pass. There is a roll-call of defeats not victories. Under these circumstances continually banging your head against a brick-wall is not an intelligent course of action, even if this might give rise to the illusion that you are not a reformist who wants to modify capitalism. People are right to be concerned about what is happening to the environment. There really is a serious environmental crisis. The issue is not whether it exists but what to do about it. The participants in Extinction Rebellion has one view. We have another. 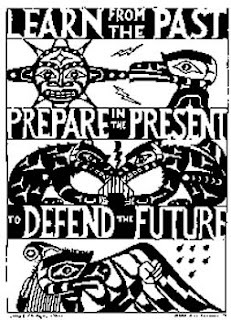 They view themselves as the militant wing of the environmental movement. We say the thing to do is to work towards building up a movement to end capitalism, the root cause of global warming and climate change. We say that no government can protect the environment. Governments exist to run the political side of the profit system. And the profit system can only work by giving priority to making profits over all other considerations. So to protect the environment we must end production for profit. Environmental degradation result from the inappropriate ways in which materials from nature are transformed into products for human use. But what causes inappropriate productive methods to be used? Is it ignorance or greed? No, it is the way production is organised today and the forces to which it responds. Governments do not have a free hand to do what is sensible or desirable. They can only act within the narrow limits imposed by the profit-driven market system whose rules are "profits first" and "you can’t buck the market". Regardless of their sincerity, notwithstanding their confrontational methods, Extinction Rebellion is not against the market and is not against profit-making. You can’t impose other priorities on the profit system than making profits. That’s why it will ultimately fail. If the Extinction Rebellion ever wants their arguments to carry any force, they should campaign to abolish capitalism. Harmful myths and lies about Muslims are now believed by a large section of the UK's population, contributing to discrimination across employment, housing, the criminal justice system and other areas of public life. tThey include the “Winterval” myth that claimed Christmas celebrations were being suppressed and a story that wrongly interpreted research to say one fifth of British Muslims had “sympathy for jihadis”. MPs said that corrections published by newspapers “pale in comparison to the damage done to perceptions of Muslims in British society”. Scientists and environmentalists such as those in Extinction Rebellion are warning us about our grim future if we don't act to reduce greenhouse gas emissions. They warn that climate change brings increasing droughts, more frequent wildfires, floods and hurricanes. They also argue that while the developed world is responsible for most of the greenhouse gas emissions, it will be the developing and undeveloped nations which will bear the brunt of the consequences, and this will mean mass migrations, as climate refugees flee from their new unlivable conditions. Across the world, people are now struggling with the effects of climate change: disrupted rainfall patterns, drought, extreme weather events, pest infestations, plant diseases leading to crop losses and hunger. Today, people feel the sense of urgency as the serious trouble we are in becomes more evident. A lot of faith is put into the UN and the EU in order to build a greener world, something that is particularly naive considering how both organisations were created by capitalist countries to serve the interests of capitalist countries, and this still remains the case, with most summits and protocols aimed at controlling climate change hamstrung by the pressures of the governments involved to appease the needs of their capitalist economics leading to the inadequate demands and the shambles of numerous COPs. Yet these are the vehicles which the ecologist movement rely on to save the world. Environmentalists tends to attack the symptoms rather than the cause – the cause being a capitalist system that ultimately puts profit above all else. This stems from a lifestyle-activist mentality which is prevalent amongst much of the environmentalist movement including the political party that was set up to act in their interest) that supposes that all would be well if we all bought organic food, never took a holiday anywhere which would involve flying, and put on half a dozen jumpers in winter rather than turn up the central heating. Of course, we stereotype and this is not true of all green activists yet the environmentalist movement has its fair share of people who distrust anything to do with modern technology and put their faith in pseudo-scientific beliefs, mistakenly believing that every scientific development since the Industrial Revolution is intrinsically part of the problem whilst happily adopting double standards when scientists warn of the imminent danger of rising greenhouse gas emissions and the resultant climate change. There is also no such thing as overpopulation, only economic incompetence. Most catastrophes attributed to "overpopulation" are instead the result of resource scarcity - and while sometimes such scarcity is the result of variables outside the control of governments and individuals, most of the time it is the result of avoidable pitfalls such as our exploitative and acquisitive social system. Despite being proven wrong, there are numerous green alarmists who continue to insist on rationing, population control, and other restrictive and often coercive political measures to deal with more people populating the planet. The issue of the environmental impact climate in relation to growing populations can definitely be overcome. When governments and international organisations begin demanding the population bear the burdens of "overpopulation," it is an indictment of their own incompetence. The Socialist Party needs to help people to understand that the policies that will solve the climate crisis are not the ones advocated by business interests. We need to counter the arguments made by the reformers who call for a Green New Deal who believe things can get better when governments pass laws and implement measures. To fix everything requires changing everything. There is only one solution - socialism, or as others have called it, the cooperative commonwealth or economic democracy. 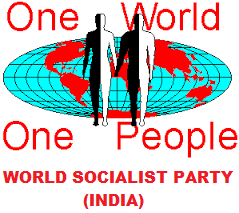 The Socialist Party knows that a sustainable world is possible for all of the people on this planet. Urgent action is needed. There's no time to dither or dilly-dally. Let's work together to implement commonsense ideas that protect our environment and defends our well-being. If we refuse to take the next step in social evolution, to change the way we produce and distribute our wealth we will threaten the health of our children, their children, and future generations. The Socialist Party argues that the sole driver of economic activity in our society is the crude imperative to capital accumulation. We recognise the inherent instability and brutality of capitalism and the limits to our ecosystem; that our planet's resources are finite and that the ecological balance that makes all life possible on it is fragile and under threat. Today, humanity faces the unprecedented threat of an ever-worsening series of catastrophes, caused by the interlocked economic and environmental crises brought about by our current economic system. Capitalism has always been ecologically destructive, but in our lifetimes these assaults on the planet have accelerated. Ecological devastation, resulting from the insatiable need to increase profits, is not an accidental feature of capitalism: it is built into the system's DNA and cannot be reformed away. Capitalism is increasingly demonstrating its total incompatibility with the maintenance of our ecosystem through its ruthless exploitation of ever scarcer natural resources, its pollution of the environment, the growing loss of biological and agricultural diversity and increasing climate change. Will more than have it made! For us was out of bounds! And scuttles the damn lot! annual cost of the Monarchy is estimated by Republic at £345m.